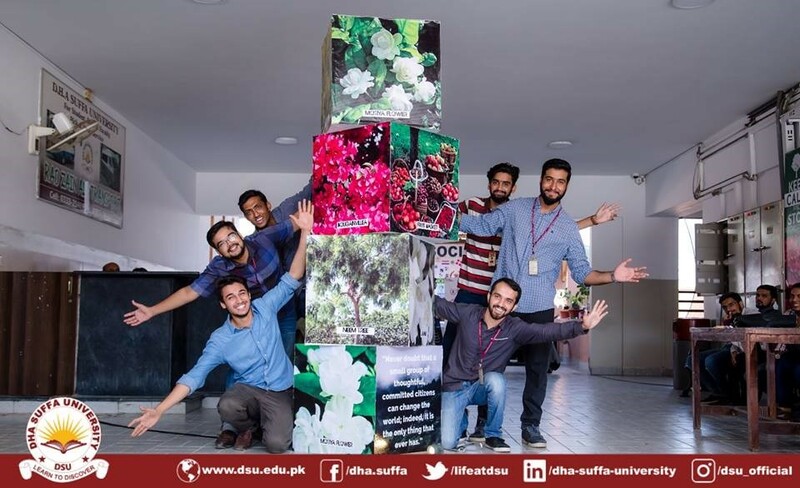 In order to educate students and faculty about types of trees a cubic art installation was set up in the university. 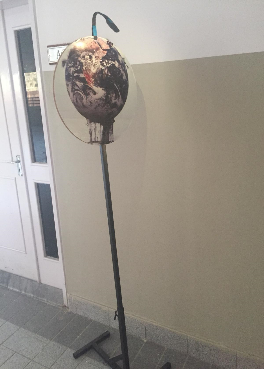 This was made as a part of awareness campaign so more people would know about trees that can be planted to make Pakistan greener. The marketing campaign’ starts off with the stop sign installation. Eight futuristic photos are symbolically put on stop signs to make students stop to think of what the world will become if Climate change issues persist and worsen. This installation is kept in a main hall, where the photos are illuminated with book lights in the backdrop of a dimly lit hall. 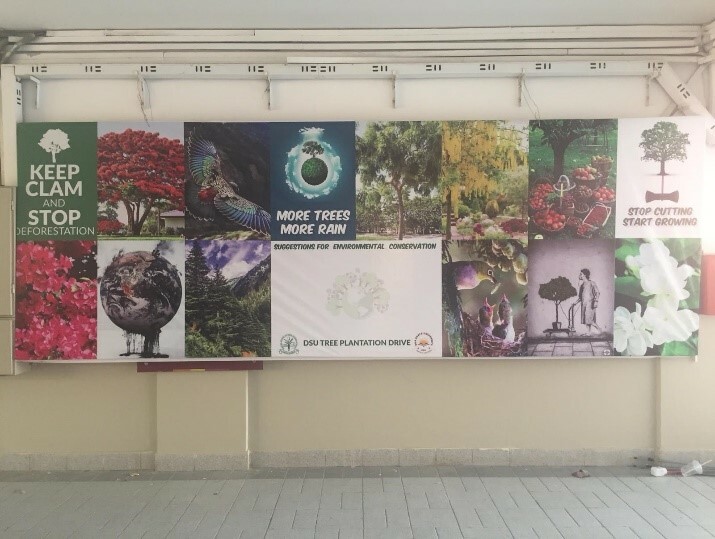 Tree Plantation Signage: At the end of hall, before well-lit the main student activity area, DHA Suffa University’s tree plantation signage is displayed. This again is symbolic, and leaves students with a choice to make a difference and fight back against Climate change by participating in the Tree Plantation Drive by planting trees on campus. The Cube Installation: After a call for action to positively change the world, an eight foot tall cube installation has been constructed. The idea of this installation is to show students how beautiful the world can become if they try to make a positive change and fight against Climate change. 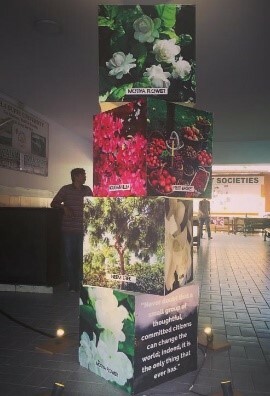 Beautiful bright photos of local trees, flowers and fruit are on each side of the cube along with soul searching quotations from famous poets including Khalil Gibran, and Hafiz. The structure is eight feet tall, and is made of four cubes (2 feet by 2 feet), that are stacked one on top of the other, and accentuated with floor lights. A backdrop has also been constructed in the student activity area. A portion of the backdrop has been left blank for students to write their suggestions for environmental conservation. Please note: All the wood used to make the installations was recycled. This was done to encourage sustainable practices amongst students.